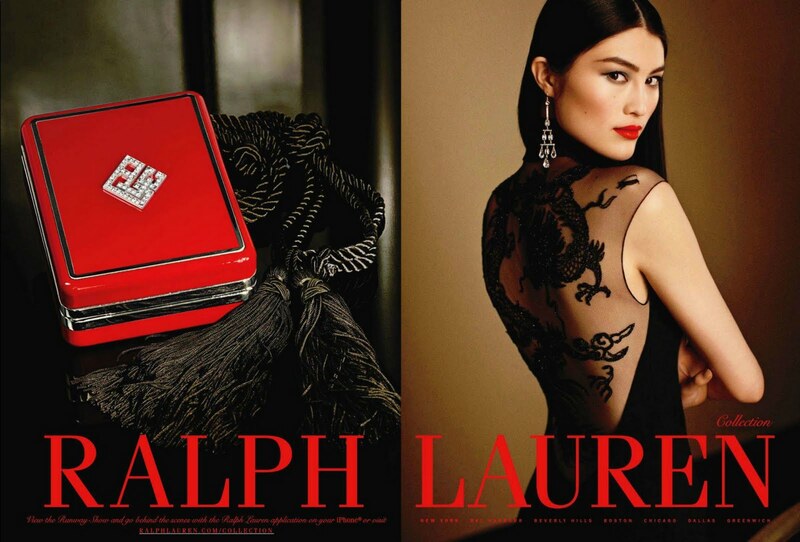 This is the 4th & 5th images of Sui He for the Ralph Lauren, Fall 2011/Winter 2012 ad campaign. The other three images can be seen here. Her look is regal, stunning and very different compared to her fellow look-alike Chinese models in my opinion;she has this Central Asian or Eurasian look with Asian dominant features. The first picture is amazing. Love her! she looks stunning in the first image. what an interesting face shape! yes a bit 80's / 90's? Fellow lookalike Chinese models? Sure Sui He looks different than Liu Wen but Liu Wen looks equally different than Fei Fei. Are you saying that the other lookalike Chinese models can not appear to be regal and stunning. Please explain yourself as I'm curious as to the intent of your comment. I think Sui He fits the bill of what was issued to casting directors a few season's back - Unique Worldly Beauty. She may be chinese, but her looks are of a mysterious origin if didnt know that she was Chinese. I think her RL ad is stunning. Hopefully, because she is unique. she will be a successful model that transcends the ethnicity card, success in her own right, and not be the go to asian girl - flavour of the month - kind of thing. Good luck! Gorgeous model, stunning clothes, particularly that dress with the dragon.